IPL 2019 is becoming bigger and better with every season and the 12th edition is going to bring in a new wave of freshness with new players coming and the old foes being dropped. Since most of the teams have already zeroed in on their team combinations, just a few slots are left to fill and the teams will put on their thinking caps during the auctions. IPL is a tournament of margins and a boundary here and a dot ball there can make a massive difference. It would be important to have players who create massive impact with their belligerent batting or their economical bowling. An all-rounder would fit in the bill perfectly if he has the ability to strike big and bowl a few useful overs. 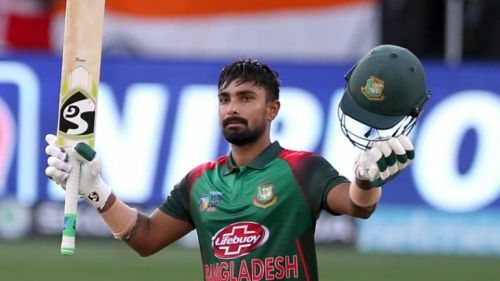 Liton Das is a promising wicket-keeper batsman from Bangladesh who is probably touted as the future replacement of Mushfiqur Rahim. Liton is an attractive batsman to watch when in full flow and can play some powerful shots. He is particularly good in the cut and the pull against the quicks and has the ability to sweep powerfully against the spinners. Liton is particularly remembered for his innings against India in the recently concluded 2018 Asia Cup final. He scored 121 from 117 balls and hit as many as 12 boundaries and 2 sixes. He was particularly severe against the quicks showing his full range of shots. He has a decent T20 record with 4 fifties with a strike rate of 125 in his 58 match T20 career. If the franchises have witnessed this, they might Liton up as he is a wicket-keeper and he can also open the batting. His base price would be less and he might lend the required balance in terms of cost and utility.